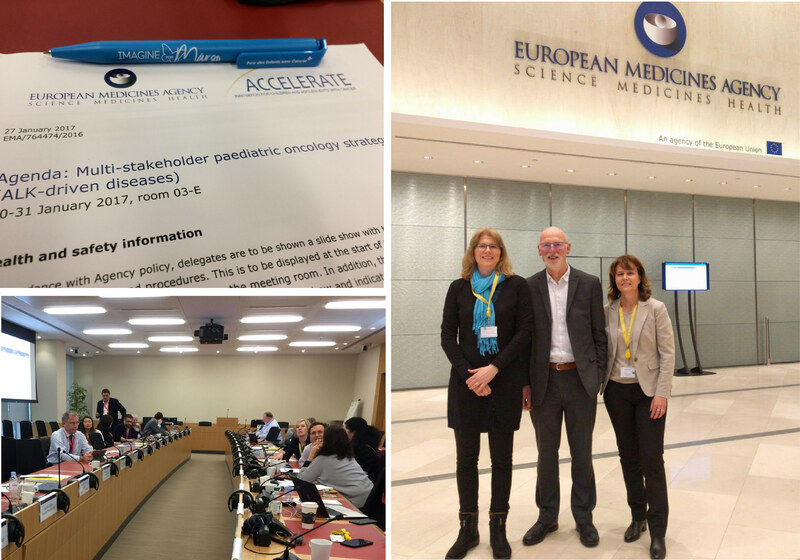 January 30-31, 2017: Extraordinary working session of the ACCELERATE platform at the European Medicines Agency (EMA), London: Paediatric Strategy Forum for Anaplastic Lymphoma Kinase (ALK) Inhibition in Paediatric Malignancies. 5 drugs, 4 different laboratories targeting 3 rare diseases of the child: how to choose? Which strategy to prioritize the most effective drug for each disease? We want to make this reflection a “proof of concept” pilot to select the best and most effective innovative medicines for children and adolescents as quickly as possible. By working together – laboratories, researchers (French and American), parents of Unite2cure and EMA – we will be able to ACCELERATE the research. We will keep you informed of the progress of our work.